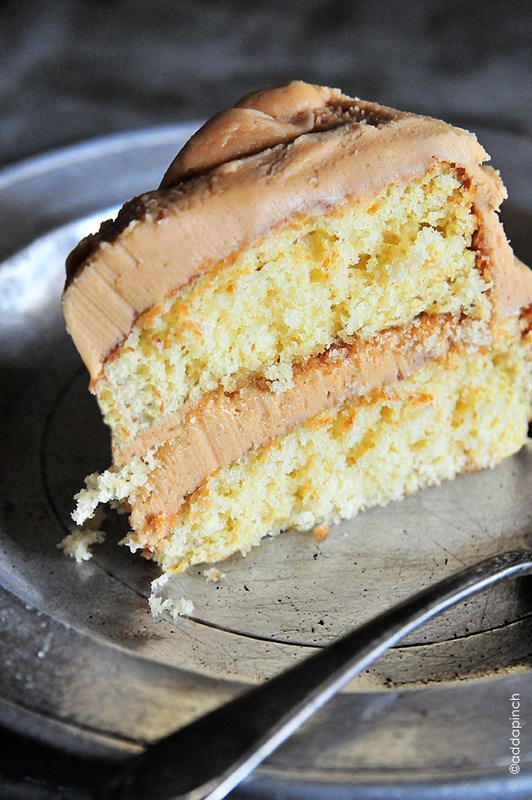 Southern Caramel Cake. It’s just hard to beat it. 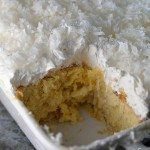 It is one of my family’s all-time favorite cakes – especially for holidays, birthdays and major celebrations. You can just count on it appearing to make those special occasions even more special. It’s odd to put that much significance on a cake, but you know, that’s just the way it goes around my house. 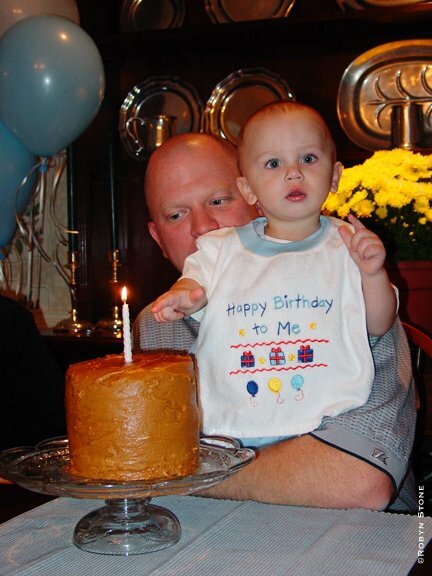 I’ve talked about this cake before and how much the recipe means to my family. The original cake will forever be a family-favorite. Anything used for my baby’s first birthday cake has to be extra special. Don’t you think? Oh my goodness. Just seeing that photo makes my heart melt. But thankfully, we weren’t celebrating my baby’s birthday this past weekend. I’m not exactly ready for him to be 11 yet. It was my Mama’s turn. So, since my Mama has given the world to me, I thought it was only fitting that I make her very favorite cake for her on her birthday. But, I did something we’ve never done in my family. I changed the recipe! And I wasn’t struck by lightening. I went to bed and slept well. I woke up and pinched myself because I hadn’t gone to…. well, you get the picture. Before I go on. 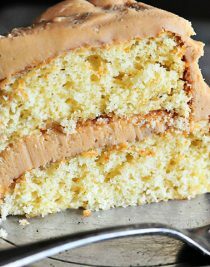 You really can’t go wrong with the original Southern Caramel Cake recipe that I’ve shared and made a thousand and one times. It’s perfect. No kidding. Perfect. 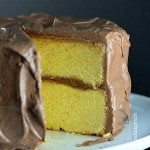 But, if you want to have a little fun with this cake and change things up a bit, you might just fall in love with this version, too. So. Here’s what I did. I made the cake recipe and the frosting recipe both just a touch lighter. And I mean lighter as in texture, not as in calories. Just to be clear. Let me just say, no one refused a piece. And the birthday girl loved it. Please note that this recipe makes a three layer, 9-inch cake. I used the batter from one of the layers to make my Little Buddy some cupcakes. He couldn’t wait. 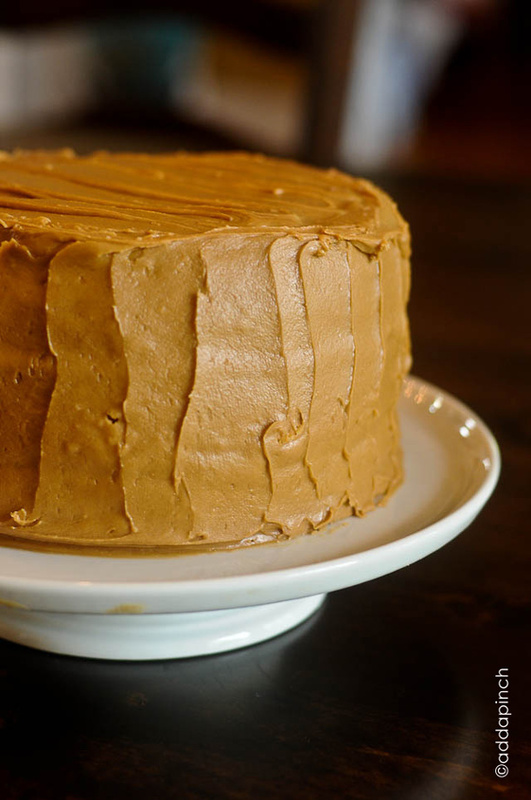 Here’s the recipe for my Butter Cake with Salted Caramel Buttercream Frosting that I think you should make for your next special occasion. Like a birthday, anniversary, engagement, shower, or just because it’s Wednesday. 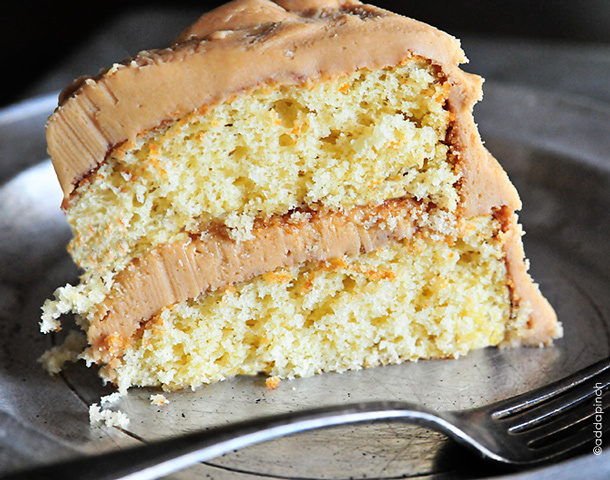 Southern Caramel Cake is always a favorite. 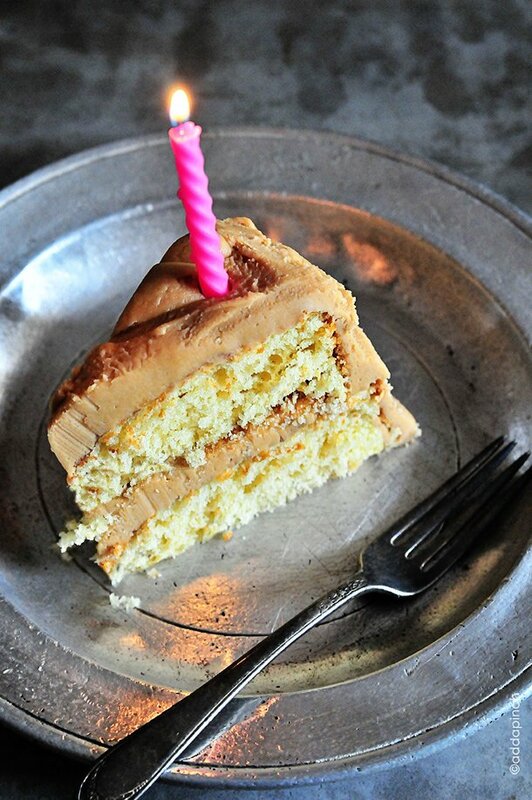 This version with Salted Caramel Buttercream is out of this world! Add all ingredients from the first stage of the frosting recipe in a 3-4 quart pot. Stir ingredients with a wooden spoon as cooking over medium-low heat. Cook to softball stage (235-245 degrees on a candy thermometer as well as using the cold water test). Remove from heat and pour into a large mixing bowl or the bowl of a stand mixer. 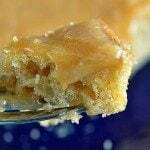 Using a whip attachment, whip the caramel until it has cooled enough to touch lightly. Add the butter and salt from the second stage of the frosting recipe to the mixing bowl and whip. Add confectioner's sugar in 1/2 cup increments, stopping after each to scrape sides of mixing bowl. Turn mixer onto high for about 10 seconds after each addition to incorporate air into the frosting. Adjust the amount of confectioner's sugar to result in a frosting that will hold it's shape. Frost cake and store on a cake plate covered with a dome or an airtight container. Best served within 1-3 days. For easier frosting of cake, wrap tightly in parchment and aluminum foil and freeze overnight. Brush the cake with a pastry brush to remove loose crumbs and then frost the cake with a light layer of frosting to create a crumb coating. Then, frost the cake as normal. This is my second attempt to make this cake and frosting. The first time, if I remember correctly, turned out great and came together very well. This second time, I made the cake and frosting for my own birthday. The cake did better than your other cakes for me – they don’t rise in the middle of the cake. This cake in 3 8-inch pans rose and didn’t sink as badly. But I’m more concerned about the frosting this time. I kept constant agitation while the sugar and buttermilk cooked to softball stage. When I put it in the mixer and whipped it, it just pushed out to the bowl edges, no matter how many times I scraped the sides. When it was cool enough to touch (at least I thought it was cool enough) I add the butter, but it melted almost immediately. When I added the powdered sugar, I ended up with lumps and didn’t stick together at all. It still tasted great, so I just layered my cakes with lumpy frosting and added the rest to the top. Any suggestions on where I went wrong? Thanks. This is the most amazing recipe. My husband requests it every year since I found your site a couple years ago! Making it tonight, in fact, for his birthday tomorrow!!! Thank you for helping us make great memories! I’ve made this cake once so far and it turned out great. (I haven’t attempted the frosting though, I just did a regular frosting). I liked this recipe because it didn’t really require shortening. I love how you gave the extra tips of beating on high in between additions. I felt like that really made a difference! I was just curious why those steps aren’t mentioned in your other cakes? Other cake recipes also are specific not to overmix so I was just wondering the difference here. I enjoy learning the “why” behind the steps so I can improve my skills. Thanks!! I’m so happy you enjoyed it, Anna! 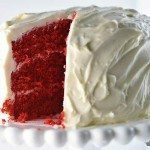 I have several cake recipes and they have different ingredients, different textures, etc. Some are mixed with a lighter touch and others may be mixed at higher speeds to add air into the batter, etc. Many of my cakes are family recipes I’ve made through the years or are cake recipes I’ve developed. I test each of the recipes before publishing here on the blog and my wording can sometimes be a bit different as well. Hope this helps! Made this for my daughters birthday at her request. I must admit I had never made anything like this. The directions were clesr and easy to follow. The cake turned out perfect and was a big hit! Thanks! Just finished this cake for my mother-in-law’s birthday– it is absolutely delicious, fluffy, and decadent! 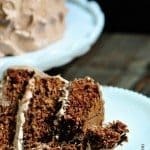 Hi, thanks for sharing these awesome recipes. I’ve read the reviews on this butter cake and decided to make it. Made 2×12″ round pans. Followed the instructions. Flavour is great and it rose well. But it’s dense. Is it because it’s a large cake ? I was going for fluffy. Added five extra minutes to the recommended baking time since it’s bigger than 9inch. I like making big cakes cause I like to serve a lot if cake. But I didn’t get fluffy I got dense. Please help! PS – gonna try this with your strawberry buttercream frosting. Thank you so so so much for sharing. 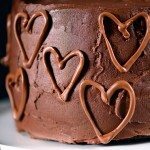 My baking experiences are so rewarding and fun after coming across your site. I’m so happy you enjoy the cake and the recipes, Vida! I’m sorry your cake seemed dense though. I’ve not had that problem and can’t be sure what caused it. It is possible that it had something to do with it being larger and baking longer than the recipe, but can’t be sure. Hi, do you know if you can freeze this cake? I have a party Thursday but want to bake it ahead. You can freeze it if you wish. I suggest freezing the completely cooled cake layers. Wrap each with freezer wrap and place in an airtight container. Thaw overnight in the refrigerator and when completely thawed, can proceed with frosting the cake. Thanks Ashley! I like dense cakes. Should I skip the extra beating to add air when I make this?